Dozens of runners congregate near the concrete archway that caps the only paved road in Iten, Kenya on a recent Saturday morning in early March. Among this group there are runners with personal best times in the marathon of 2:06, 2:08, and 2:10. This is per mile speed, for the entire 26.2 mile race, of sub 5-minute miles (the world record for a single mile is 3 minutes, 43 seconds). Dressed in running pants and windbreakers for the predawn temperatures, many stretch in preparation for their weekly long run, while others have already started off into the darkness of labyrinthine dirt roads. None of the runners carry anything extra. There is not a single headlamp or handheld light to guide the way, even though many of them will approach 20 miles in distance today they don’t carry water bottles, hydration packs, or energy gels to sustain them. They are chasing the dream of world-class speed. Kenya’s running gold-rush began with Wilson Kiprugut’s bronze medal performance in the 800 meter at the 1964 Tokyo Olympics, but the first tidal wave of Kenyan dominance didn’t hit until the August 1966 Commonwealth Games in Kingston, Jamaica. Kenya took home three gold medals, a silver, and a bronze, while six other athletes placed in the top ten across middle- and long-distance running events — putting the world on notice. Many books have been written in an attempt to figure out how this is possible, with mostly unsatisfactory answers. Visiting the area makes obvious the fact that the uniquely supportive community helps foster humble athletes with amazing abilities. What’s most intriguing to sport scientists about Kenya’s success at long distance running is that their champions almost uniformly hail from one particular African tribe, called the Kalenjin. Though they are a minority in Kenya, the Kalenjin are disproportionately represented in world athletics. Much has been made of the fact that the Kalenjin children run considerable distances to and from school every day. When researchers polled top-level athletes they found an overwhelming majority said this was true of their experience. 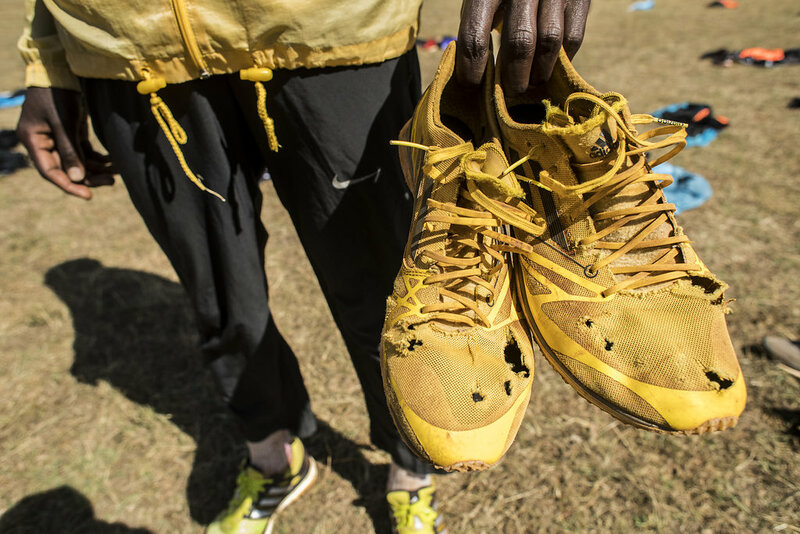 Every morning on the red dirt roads of Iten, young kids dressed in their school uniforms, book bags under their arms, giggle as they try to keep up with professional runners who pass them during their workouts. Most of the runners here are children of subsistence farmers who maintain small plots of land. Hardship is not new to these athletes. With only one paved road and few cars even adults will run to market to get water or groceries. And being essentially on the equator, the weather in Iten is conducive to being outside and active. The community also reveres running champions. When athletes like Kipsang return home after international success, they instantly become heroes to local runners of the region. They prove that distance running is a legitimate and promising career choice. 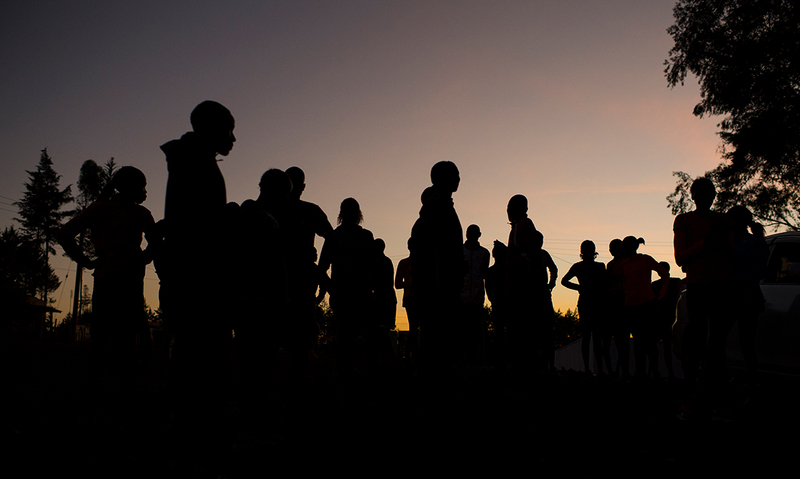 Of the 4,000 people that live in Iten, it’s estimated that more than 2,000 of them aspire to race on the international stage. 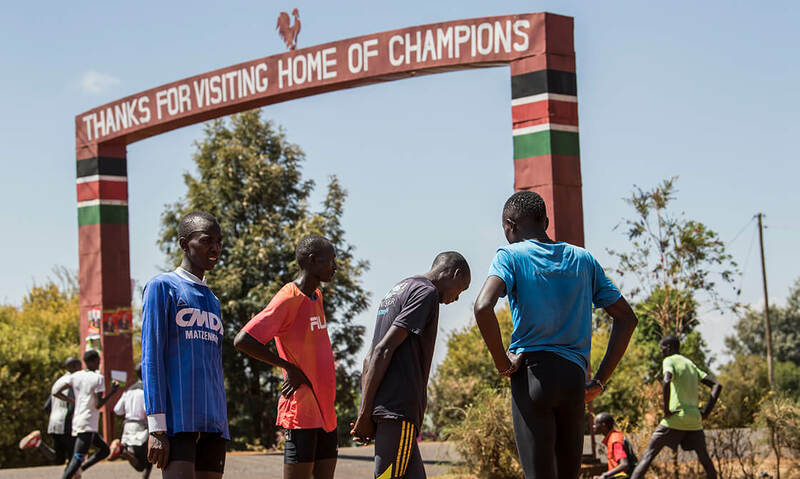 Foreign runners now frequent Iten for training excursions and to attempt to run shoulder to shoulder with the world’s best. Athletes from Switzerland, Holland, and England cite the altitude as a major benefit to spending training-time in the area. 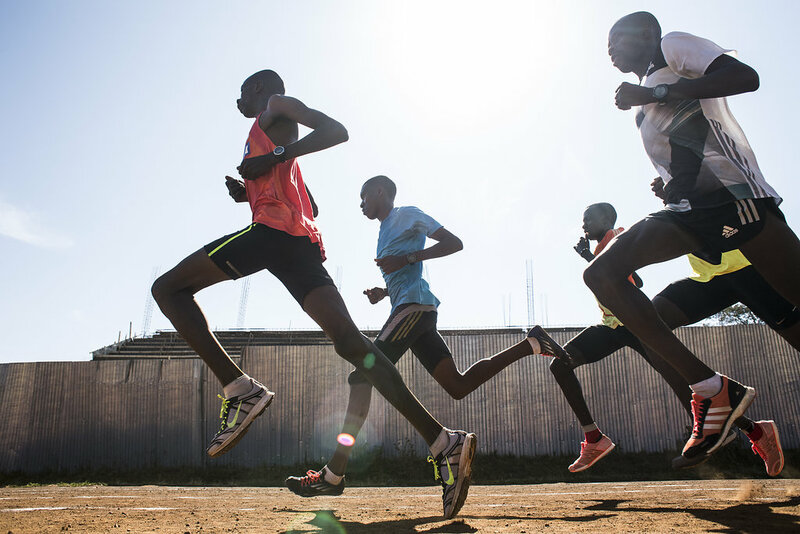 Sports scientists agree that at 7,800 feet above sea level, Iten might be the perfect altitude for ideal training stress. But none of these explanations are specific to Kalenjin. Of the many physiological variables that make up a fast runner, the Kalenjin appear to be superior in at least the two primary factors—oxygen carrying capacity and running economy (or efficiency). Originally from a lower altitude valley, the tribe has recently moved up into the mountains. Sports scientist believe their sea-level ancestry makes them hyper-responders to training at elevation. Watching the athletes run effortlessly around the Kamariny track at 60 seconds per 400 meters, their many economic advantages become apparent. The Kalenjin’s long legs and narrow hips make them super efficient runners. Kalenjin athletes have very skinny ankles which act as a biomechanical advantage in lower swing weight. Many don’t even fill out their run tights or spandex shorts, they simply hang loose flapping in the wind because they lack the mass to fill them out. 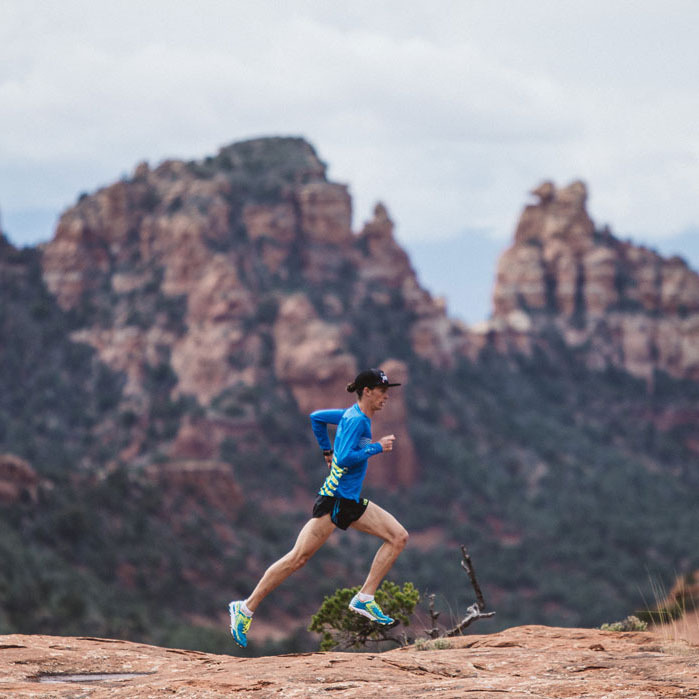 But what appears to be a lack of muscle is more than compensated for in the runners’ power to weight to ratio—which means they have more than enough muscle power to move their lighter bodies through space. 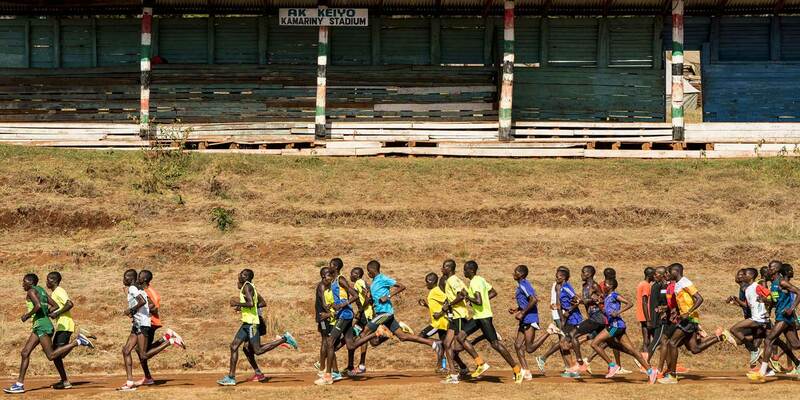 On Tuesday, track day, Kamariny stadium is swarming with athletes. The inside lane of the track is grooved and worn. The dirt in this area is red from a high iron and mineral content. Here, unlike a professional football or baseball stadium in the states, kids and second-tier runners can jump in and run with some of the best athletes on earth.